Before we toast the Birkie with a full mug of beer, let’s pour one out, as they say, for the planet. Because the planet is not in good shape. While it looks cool and snowy in Northern Wisconsin, the same can’t be said of much of the rest of the earth. 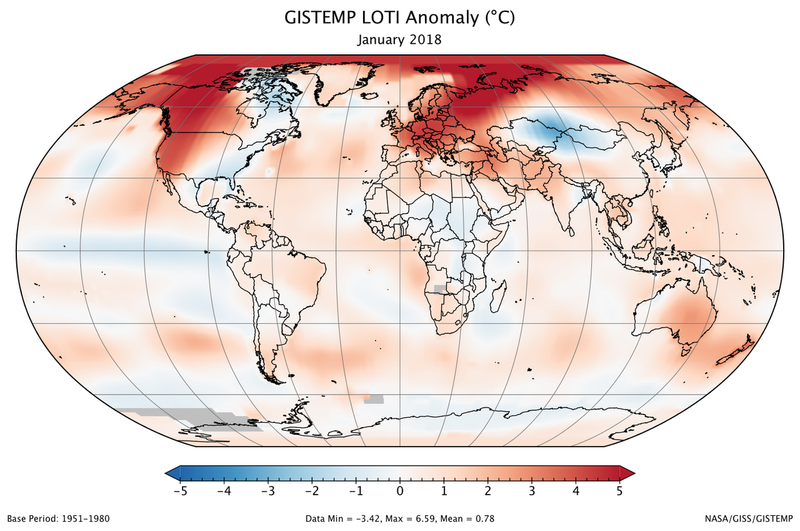 There’s a lot of red on that map, not much blue, and the red is centered over the North Pole, which may not be much of an ice cap in the future. This isn’t good for the long range, and we should expect more variability, and more 2017s, if that is the case. But more locally, it’s warm. The warm weather of last year just shifted 1000 miles east. It’s 65˚ south of a line from Boston to Chicago. In the middle of February. 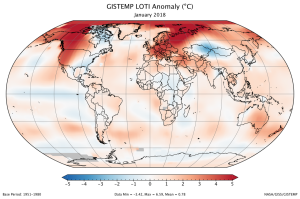 Before last year, Boston had had four 70˚ days in January and February in since data has been kept in 1872. #4 occurred last February, as the Birkie-cancellation heat spread east. There’s a good chance that the temperature will crack 70 today and tomorrow; if it does, the city will have as many 70˚ degree days in two years as the previous 145. We can all take steps in our own lives to combat climate change, but we can also take steps collectively. Talk to the crazy uncle who thinks climate change is a Chinese plot against America. Go out and vote for the politician that actually believes climatologists and data. It’s our Birkie. We need to save it. The trends aren’t good.